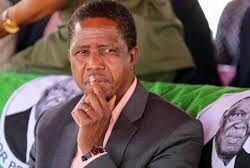 Zambians should take a serious introspection on the benefits of the peace and unity that first President Kenneth Kaunda’s generation bequeathed, President Edgar Lungu has said. President Lungu was speaking in Chinsali yesterday when he graced the Kenneth Kaunda Secondary School Golden Jubilee cerebration where he also donated three 50 seater higer buses. The Head of State donated one bus to Kenneth Kaunda secondary school and another one to Chinsali day as a fulfilment of late President Michael Sata’s promise to Chinsali day. He left the third bus in the hands of the provincial administration office to decide on his behalf which school should be given the vehicle. Accompanied by former President Kenneth Kaunda, President Lungu extolled the heroes and heroines of the country’s independence struggle. Meanwhile, Dr Kaunda encouraged President Lungu to continue fighting violence by advocating for peaceful elections. Dr Kaunda said this when he was called upon to greet the cheering crowd which attended the ceremony at Kenneth Kaunda secondary school grounds. The first President also sang his “Tiyende Pamodzi” song as the crowd joyfully sang along with him. President Lungu appealed to all progressive minds to take responsibility and safeguard peace by denouncing all acts of violence being perpetrated by individuals with selfish motives at the expense of the moral majority. He emphasised that the One Zambia One Nation motto was a powerful theme that everyone must use to unite the people across its diverse persuasions. “Our tribe is Zambian hence the onus is on all of us to exercise tolerance and promote love as Jesus spoke in Mathew 22: 37-39, a verse the former President Dr Kenneth Kaunda cherishes,” he said. The President emphasised the power of education as an equaliser and best instrument for social mobility. He said the massive infrastructure development programme the PF government had embarked on since 2011 was only comparable to President Kaunda’s post-independence programme to build schools and other physical infrastructure that developed the country. President Lungu said his Government remained committed to ensuring that all schools, Kenneth Kaunda inclusive were fully rehabilitated in the shortest possible time to improve the status. The school was named after Dr Kenneth Kaunda 50 years ago after recognizing him for being one of the first teachers at the school. And a pupil, Richard Chilando told President Lungu that the school had many challenges as the dormitories had no windows and doors exposing the children to mosquitoes. Chilando said the two school buses which were procured using PTA funds were also in bad shape. He said the school also had water challenges which were exposing the pupils to different health hazards. Chilando appealed to President and Government to consider looking into their plight. ← MALAWIAN MAIZE STUCK IN CHIPATA?